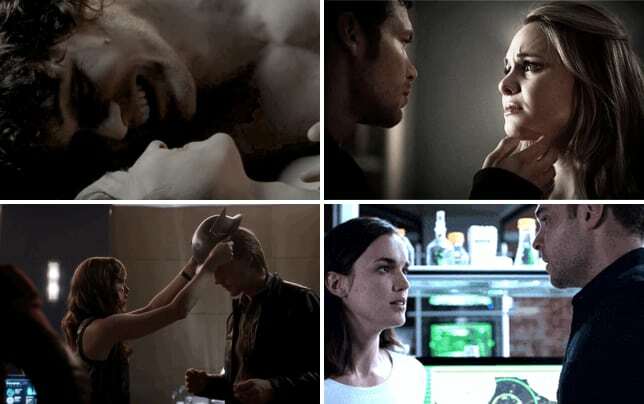 So many fans of The Originals thought Cami O'Connell would be the show's Matt Donovan: the lone human, destined to work in a bar, have pretty eyes, and be, well, human. 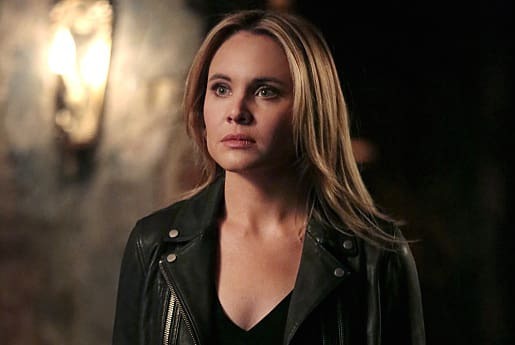 TV Fanatic: Were you shocked when you learned Cami would become a vampire during Season 3 and when did you learn that? Leah Pipes: I learned it, it was like a month before it actually happened. I was shocked and I was so excited to hear that information. I didn’t see it coming. I was blindsided by it. TVF: Did you hope that Cami would one day become a vampire or did you hope she’d be the lone human standout? LP: I kind of assumed she would stay human. That’s not necessarily what I wanted, but I always just assumed she was going to be the Matt Donovan character. But I trust the writers, and that’s the great thing about being an actor is that you don’t have to come up with the stories, you just have to act them. So whatever stories they came up with I was more than happy to play, but I’ve really enjoyed over the past few months being able to play something entirely new. That’s always fun for actors. TVF: How will we see this new role change Cami? LP: I think almost entirely. The way she was described to me by Michael Narducci, our executive producer, you know, she’s kind of an entirely new character now. All of these darker sides to her that we’ve alluded to in previous episodes are definitely being explored now that she’s turned. TVF: So we ARE going to see Cami’s dark side coming out a little bit? LP: Right! And now she doesn’t even need beer bottles. She has teeth! TVF: Exactly! Obviously, you can’t tell us very much about that, but how has the acting changed since this is a somewhat more physical role now that there may be fighting and other physical altercations with the other characters? LP: The interesting thing for me was tapping into this power, this inner power, and more specifically, sexual power and sexuality. You know, vampires have that energy. It’s how they lure people in and get people to be intrigued by them, so that energy was definitely on the page and exploring that and tapping into that as a person and as a woman was really interesting. And fun! TVF: Can we expect some hot vampire hookups between Cami and Klaus now that they’re both immortal? LP: I don’t know! You’ll have to watch! TVF: (Laughs) You’re so good at the dodge! I feel like it’s almost inevitable, but I don’t want to know too much before we get to see it. But it was fun. Klaus and Cami finally got a payoff for their relationship and then she’s dead. LP: Yeah, it’s sort of a Romeo and Juliet tragedy here. Thank god he didn’t kill himself and then I woke up as a vampire! Oh my god! That would’ve been so interesting! Vampire Romeo and Juliet! Wow! I am writing that down! TVF: Go write a novel! LP: Exactly! Wait, Pride and Prejudice and Zombies? How about Romeo and Juliet and Vampires!? LP: But yeah, it’s tragic. It’s so tragic. You see very early on that this girl is different now that she’s changed and potentially different to a degree of never being the same again. Human Cami has died forever. TVF: Do you think this will change how Klaus feels about her? LP: I think that she has changed so dramatically that all of her relationships are going to go through a major shift. Whenever you go through a major life transition, your relationships shift and change. TVF: What happens when Cami and Aurora meet again? LP: Obviously, it’s not going to be girls hanging out braiding each other’s hair. LP: Right, yes! They might rip each other’s hair out, but I don’t see it being a “let’s paint each other’s nails, watch 10 Things I Hate About You, and tell each other our deep, dark secrets” thing. They’ll just get together and tell each other 10 things they hate about each other. TVF: Is everything wrapped up with Detective Kinney? Because now he’s the only human we have left. LP: You should keep your eyes peeled for Kinney! TVF: Now that we’ve lost our human, are we going to meet any new human characters coming into the story and what can you tell us about them? LP: That’s a good question. I think we’ve seen what happens to humans. There’s a reason there’s no humans left. they either die or get sucked into it. I think everyone’s starting to learn their lesson with humans a little bit so maybe there’a little more cautious about letting humans into the group. TVF: Speaking of the group, will Cami and Hayley have any interactions coming up? Hayley’s going through the loss of Jackson, and Cami’s going through this huge change, and not that they were the best of friends before, but there’s a camaraderie there. LP: Yes! You will definitely them interact. Those scenes, I love working with Phoebe so much, but those scenes have been some of my very favorite over the past three seasons. TVF: What can you tease for us about this Friday's episode, "Wild At Heart"? LP: Well, I can tell you that I love my wardrobe and I realized very quickly that when you have blood in your mouth you shouldn’t swallow it. And that the cherry flavored blood is the best flavor. There’s a LOT of interaction with blood. TVF: The wardrobe has definitely changed. That’s a giveaway of this difference in Cami’s character because so much is done visually. Cami’s attire was so light and airy, and we can already see the darker wardrobe coming out.